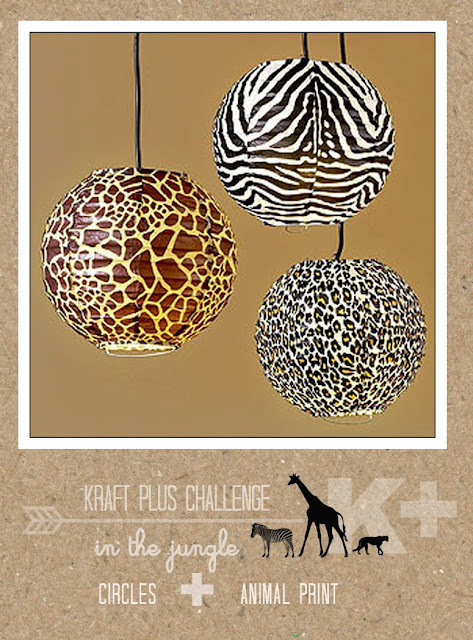 So, have you checked out the new challenge over at Kraft+ yet? This month the challenge is to go wild in the jungle and use circles (and kraft too of course!). 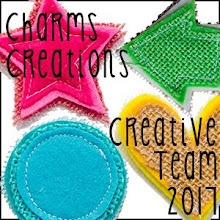 And as Charms Creations is sponsoring two of the team got to share their pages as guest designers, and mine is up! Now, given how much I love the big cats, it was a no brainer on what kind of wild path I went down! 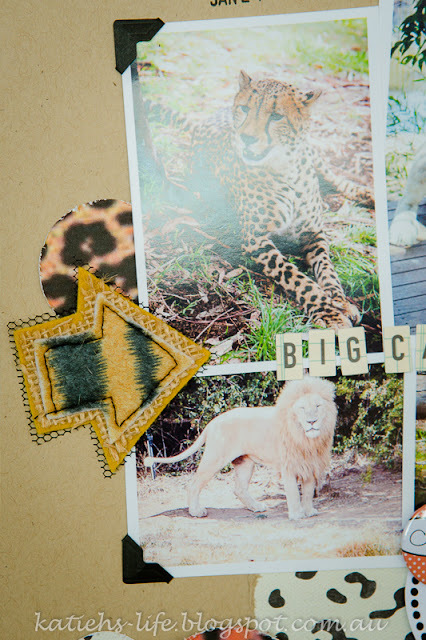 And Charm even made some awesome animal print goodies to go with the challenge. 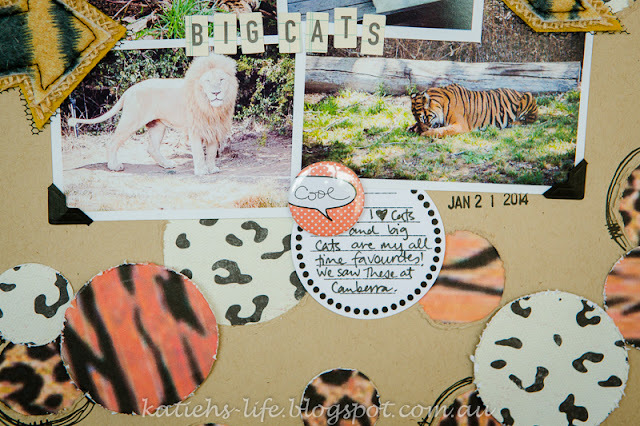 For the circle background I used my Silhouette to cut some circles of different sizes out of my kraft cardstock and I distressed the edges and backed with big cat print (some of which I printed myself from free files). I also punched some circles out of the same papers, distressed the edges and placed them around overlapping the background circles, some were mounted on foam too for more dimension. With such a busy background I didn't need much more. Just my photos, my Charms tiger print embellishments, title and journaling and I was pretty much done! 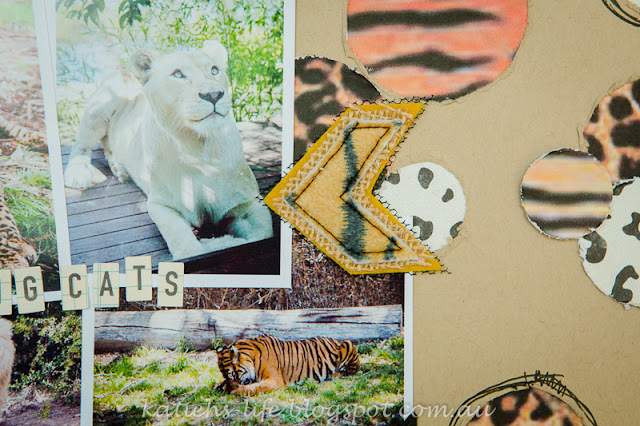 A close up of one of the tiger print Charms Creations, awesome isn't it?! And the other one, perfect for this challenge! 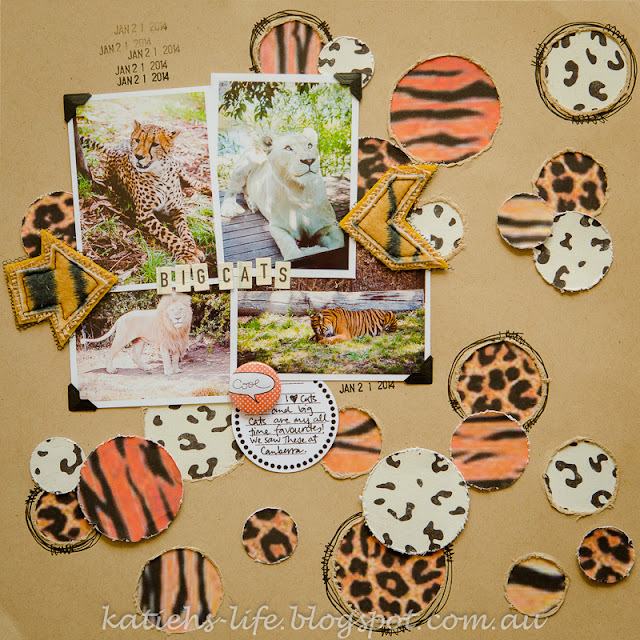 And there are more, zebra print and hearts with animal print butterfly buttons! You need to check them all out here. 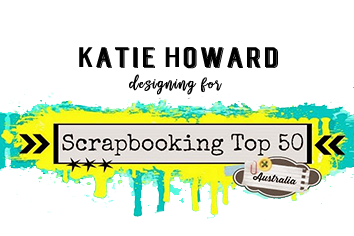 All the photos were taken at the Canberra Zoo when we visited last year. While we were there Niamh and I actually went in the enclosure with the cheetahs and were able to pet them, one even purred! We also all fed the white lioness. Just amazing creatures! So, now you need to head off and create your own "In the Jungle" themed page for Kraft+ and join in the fun. 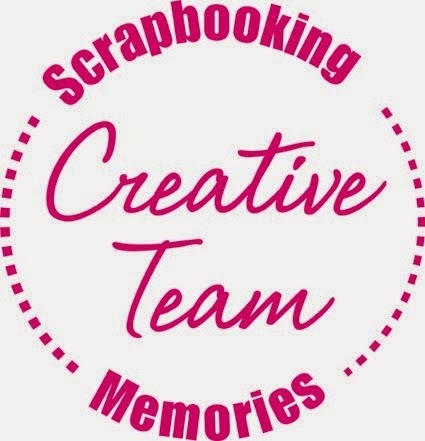 You might even win some Charms Creations too!